Annie Howe’s papercuts grace the labels, sweatshirts, and book covers of some of Baltimore’s legendary establishments. 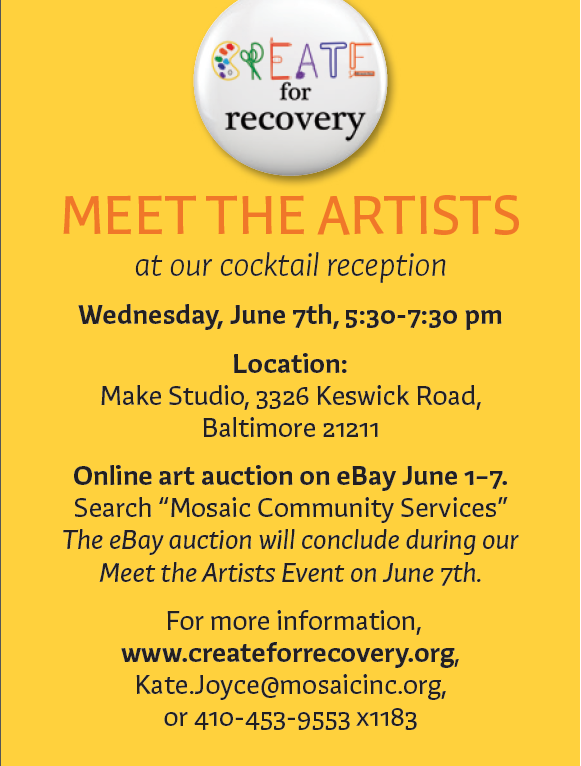 She sells her framed artwork through her website and the Uncommon Goods catalog. 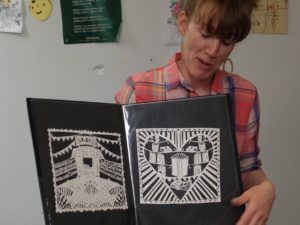 To the delight of Mosaic’s staff and clients, she is working to develop a program that melds paper-cutting with recovery and reducing the stigma of mental illness and addictions. Papercutting takes patience, but becomes almost meditative to the artist, who started her career making shadow puppets for the Patterson Park lantern parade. 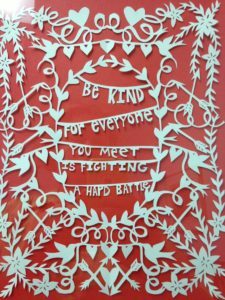 Annie delighted clients in Mosaic’s Catonsville psychiatric rehab day program by teaching two paper cutting workshops where participants designed and completed basic papercuts.